CiatéLondon was founded in 2009, by celebrity nail technician, Charlotte Knight. This British beauty brand specialises in creating iconic nail innovations and high-performing cosmetics that can effortlessly enhance your routine. They’re committed to providing people with ground-breaking, on-trend products; and they believe that makeup should always be a fun and creative way to explore your individuality. And with Ciaté London’s ravishing range of ingenious cosmetic items, anyone can effortlessly enhance their appearance - whether you enjoy bold and colourful looks or neutral, luminous tones. In addition to their nifty nail ranges −consisting of nail care, nail toppers and vivid nail colours− they have expanded their line of cosmetics to offer a variety of marvellous makeup items −including the world’s first transforming liquid lipstick− and fantastic formulas to allow people to express their unique style in a creative new light. CiatéLondon pride themselves in designing products that are completely cruelty-free and vegan, as a way to support the environment and a sustainable future. 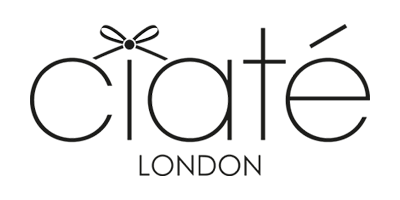 Boasting an impressive number of award wins, Ciaté London have proven that their stunning selection of cosmetics are the real deal. Browse a variety of their revolutionary cosmetics items and discover the makeup must-haves and beautiful nail varnishes, that you never knew you needed!